Insurance Claims On Your Roof: Are You Covered? Storm season is approaching in Minnesota and homeowners are beginning to think about their property and casualty insurance policies. It can be difficult to know the right questions to ask your insurance agent. In this blog, read about new limits some companies are incorporating into their policies. As homeowners, we all pay our premiums and expect our policies to protect us in the event of damaged property. After all, that’s what insurance is there for, to protect us from the unknown. However, with insurance also come limitations. In that case, it’s extremely important to understand the limits placed on your policy, especially when it comes to storm damage to roofs. Age Limit. 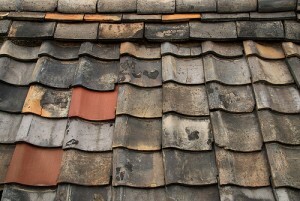 If your roof is extremely old, it may be time to review the limits placed on your policy. Every carrier views the age of a roof differently, but many companies are decreasing their liability by setting age limits on roofs. If your roof is older than 20 years, many insurance companies may refuse to give you a policy or renew your existing policy. Be sure to check with your insurance company or agent to see if you need an inspection done or a total roof replacement. Deficient Roof. Older roofs are more likely to be deficient. However, even newer roofs can have issues. If it’s determined that your roof was deficient, thus causing other necessary repairs, your carrier may not cover your claim. If your roof leaks, it can lead to other problems if left undetected, such as mold, sheetrock damage, and damage to interior furnishings. Materials. Some insurance carriers are limiting coverage based on roofing materials used, such as wood shakes. Check with your carrier to ensure they will cover a replacement of the type of materials used to construct your roof. Cosmetic. Some carriers are refusing claims if the damage to a roof is purely cosmetic and not structural. Do you have questions about the integrity of your roof? Perhaps it’s time you had a roofing inspection or a roof replacement. The Chuba Company has had the same crew of seasoned professional roofers who are ready to help you. We also have experience in working with insurance companies to ensure you get everything you’re entitled to through your carrier. Contact us today before the first storm hits to ensure your roof meets your insurance carrier’s guidelines!